← The Sports Archives – Lawyers Seeking Settlement From NFL For Brain And Spinal Cord Injuries! The Sports Archives – The UK’s Most Famous Stadia! From Wembley to Old Trafford, we take a look at the United Kingdom’s most famous stadia. Great Britain has a well-established sports culture, and many long-standing sporting events are held regularly throughout the country. 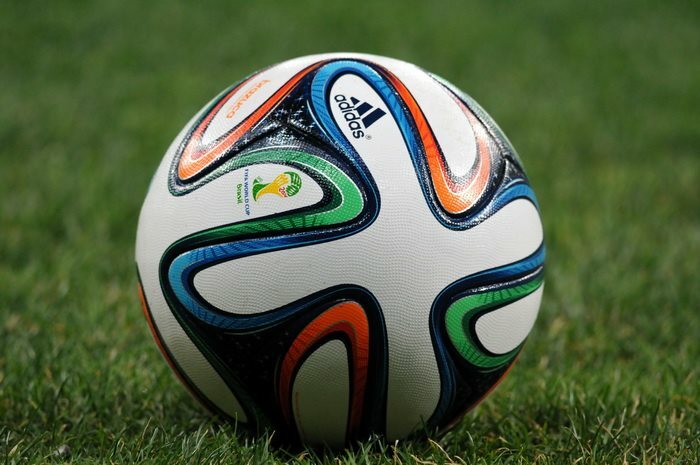 As a result, some sports venues have become internationally recognised symbols. In this article we take a look at the UK’s most famous stadia and at some interesting facts about these venues. Having a total capacity of 90,000 people, Wembley is the UK’s largest stadium and the second largest in Europe, only preceded by FC Barcelona’s impressive Camp Nou. But Wembley is not only famous due to its capacity. 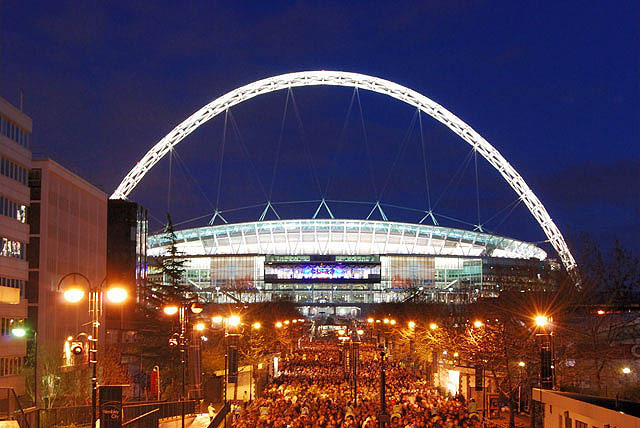 To many people, Wembley is a national symbol, as the stadium is home to England’s national football team and has hosted some of the most memorable sports events of the last century. First built in 1923 to host the Empire Exhibition, Wembley’s construction had an astonishing cost of over £750,000 and took nearly a year. However, the stadium soon went into liquidation, and had to be renovated in 1963 and re-built in 2007 at a cost of almost £800 million. With a capacity of 82,000 people, Twickenham is among Europe’s top five largest stadiums. Owned by the Rugby Football Union, Twickenham is seen as an icon of this sport and has been so pretty much since it was inaugurated, back in 1907. The first rugby game (where the Harlequins played against Richmond) took place in 1909, and a year later the stadium hosted an international game between England and Wales. Due to its superb facilities (including the Twickenham hospitality team), the stadium was chosen to host some of the most important rugby events, including the prestigious Rugby World Cup. 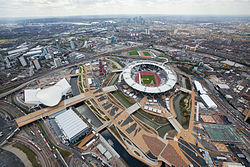 Especially built to host several key events during the 2012 London Olympics, Stratford Stadium has quickly become a reference in the world of sports. With its incredibly lightweight elliptical shape, removable roof, and eco-friendly features, Stratford is something of an architectural marvel. From 2016 onwards, Stratford’s main tenant will be West Ham United, which won the bid against Tottenham Hotspur and other cricket and rugby teams. Home to the mythical Liverpool FC, Anfield is one of England’s oldest stadiums. Built in 1884, Anfield was home to Everton during its first 8 years of existence. As early as in 1889, the stadium was hosting sports events of international prestige, such as the British Home Championship. 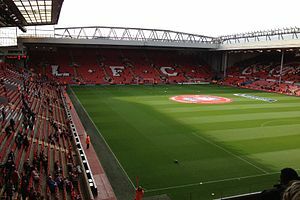 Once Everton found a new home at Goodison Park, Anfield Stadium owners found themselves looking for a new tenant, and Liverpool FC was founded to that end in 1892. The stadium has been expanded several times, and it currently has a total capacity of 45,362 people. 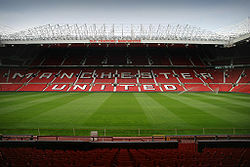 Home to Manchester United for over 100 years, Old Trafford Stadium was designed to impress. Originally, the stadium was to have a capacity of 100,000 people, which would have made it the world’s largest, but the figure was later reduced to 75,957. 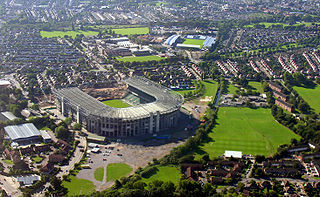 In fact, the stadium’s popularity was so that the 1939 FA Cup semi-finals saw a record attendance of over 76,000 people. Old Trafford has also hosted the Rugby League’s Grand Final since 1998, and was home to some Olympic events in 2012. There are plans for future expansion at Old Trafford, as it has been suggested that the stadium could increase its capacity to 95,000 people in the near future. The UK’s most famous stadiums are part of the country’s history and heritage, and visiting them can be an enjoyable educational experience for everyone, whether they are interested in sports or not. Gary guest blogs on UK sport for a number of publications. His main focus is on football and rugby. The Richest Football (Soccer) Stadium In The World? Wembley Stadium And Its History! This entry was posted in Other, Soccer and tagged 1939 FA Cup, 2012 London Olympics, Anfield, British Home Championship, Camp Nou, Cricket, England National Football Team, English Football, everton, Goodison Park, Great Britain, Harlequins, Liverpool FC, manchester united, old trafford, Old Trafford Stadium, removable roof, Richmond, Rugby Football Union, rugby world cup, sports and leisure, Sports Archives, Sports Blogs, sports venues, stadia, stadiums, Stratford Stadium, Tottehham, Twickenham, uk, United Kingdom, Wales, Wembley, West Ham United. Bookmark the permalink.